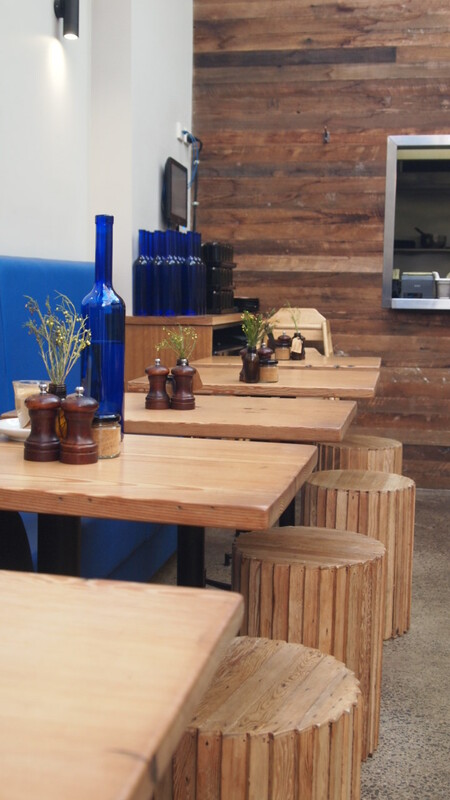 You can find restaurants housed just about anywhere in Melbourne. If there is a vacant property, often the more obscure the better, the space is guaranteed to be utilised as a funky eatery. The Vertue of the Coffee drink is no exception. 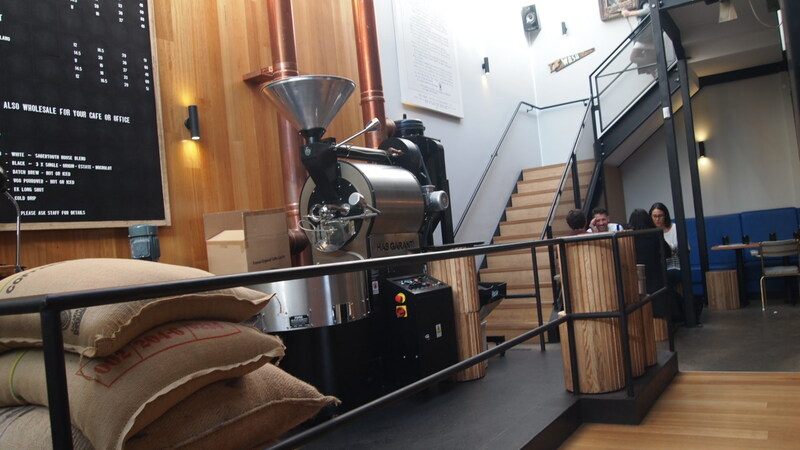 This micro roaster and café is housed in an L shaped warehouse, situated at the end of a non descript laneway in Carlton. Had it not been for a ‘coffee here’ sign I would have aimlessly wondered around the streets of Carlton trying to find it. Upon entering the unassuming site, you’ll be nicely surprised by the smart fit out which utilises the light from the high ceilings to open up the space and creates a real freshness through the use of plants and timber fittings. Being a micro roaster, a coffee roaster is used as part of the décor and is somewhat of a focal point in the small space. 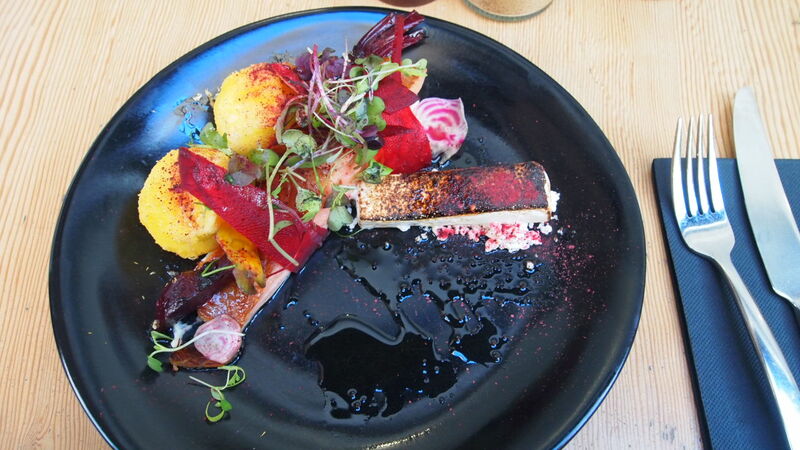 In terms of menu, it offers the typical Melbourne café experience, so we went for the coffee cured salmon (with heirloom beetroot textures, celeriac cream, polenta crumbed eggs and goats curd marshmallow), as well as the superfood salad (with quinoa, amaranth, avocado, cucumber, broccoli, pomegranate, pepita, alfalfa, mung bean and smoked salmon). Whilst the portion size of the superfood salad was very generous and the presentation was good, the flavour left a bit to be desired. 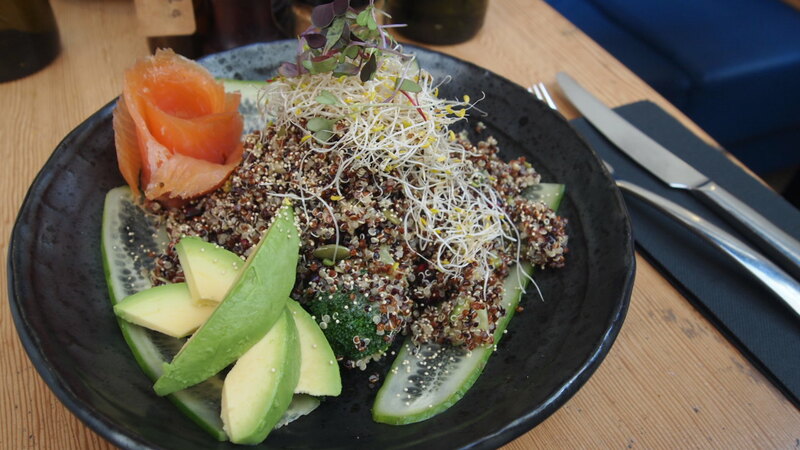 I’m aware that the idea of this salad is to be very healthy, however other versions in town achieve this and still manage to be incredibly flavoursome. This version was quite bland and was in desperate need of some sort of dressing or additional seasoning. The coffee cured salmon on the other hand was absolutely delicious. The flavour of the coffee was very subtle, but enough to provide an added layer of complexity to the perfectly cooked salmon. It was complemented well by the delicate slithers of beetroot and finished off perfectly by what I think was the hero of the dish in the goats curd marshmallow. Words really can’t describe how awesome the marshmallow was, both in terms of texture and flavour, it would be a welcome addition to just about any dish. 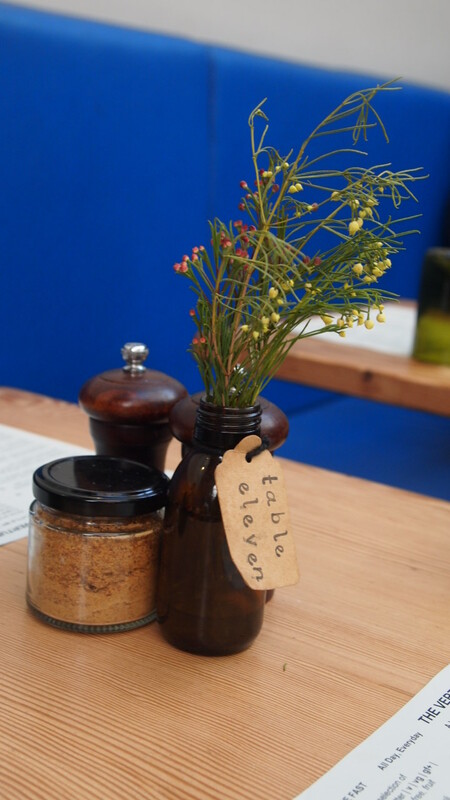 So if you’re out and about looking for a café with a bit of a difference, go on the hunt for Vertue, you’ll be surprised by what you find.